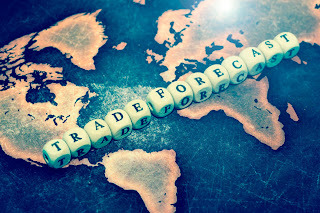 The Global Small Business Blog: Is World Trade Growth Slowing? On September 27th the World Trade Organization slashed its forecast for growth in trade of goods from 2.8% in 2016 to just 1.7%, implicitly predicting that for the first time in 15 years, trade would grow more slowly than GDP. With anti-globalization sentiments heavy in the air, it's hard to see where this is headed. Read more: The Economist Explains: Why is world trade growth slowing?